Our aerial obstacle course at Tree to Tree Adventure Park lets you enjoy nature while exercising your mind and body and have fun doing it. Our aerial adventure course is set high in the trees and requires quite a bit of physical exertion. 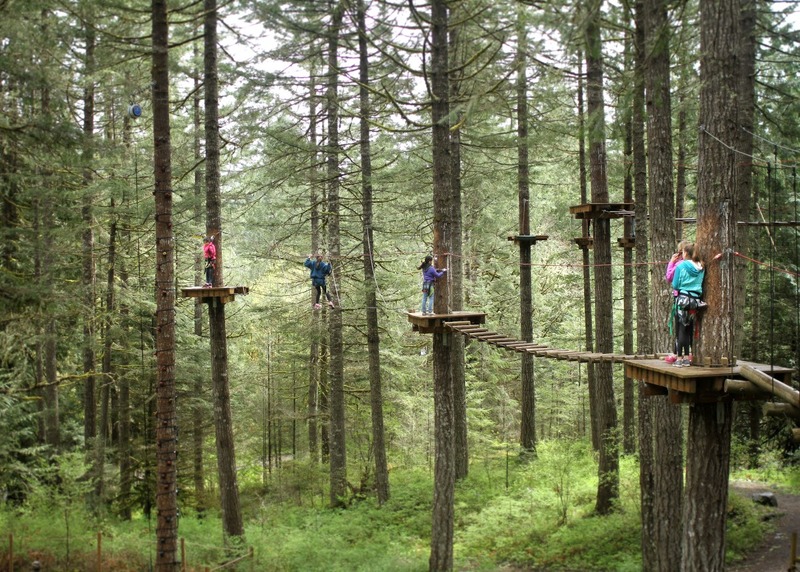 It offers six levels that progressively get more challenging and take you further up into the tree canopy. While it’s meant to be a fun, adventurous activity, there’s also a surprising amount of physical and mental health benefits. An obvious reward of an aerial obstacle course is utilizing all your muscles, including in your core. By developing these muscles, you also create better balance and flexibility, which is important when navigating different obstacles that require both. Working core muscles can also increase muscle stability and prevent muscle injuries. Heart rates increase due to exertion, and the adrenaline rush you get from your daredevil activities also gets your heart pumping and oxygen flowing. It’s easy to forget your belay system won’t allow you to go crashing to the ground should you fall, but don't worry. Our high-quality safety equipment and extensively trained staff keep you safe throughout your aerial adventure course. It’s not just your body that benefits; your mind benefits, too. As you master the various challenges presented by our aerial obstacle course, you’ll feel a major jolt of self-esteem. Also, stepping out of your comfort zone builds a stronger mindset that allows you to handle all kinds of tough situations. When you share the ziplining experience with your friends and family, you will bond over the excitement and talk about it for a lifetime. Overcoming a fear is always easier with someone else by your side, which will bring you closer. Ziplining just one time will leave you wanting more, so, you and your friends and family can continue to experience even more adventures together. No prior experience is necessary to participate on our aerial obstacle course. We provide orientation and training to properly prepare you for going up into the trees. This is a very physical activity, though, so if you have any medical concerns, talk to your doctor before participating. When you’re ready to get fit and have fun, contact us at (503) 357-0109 to make reservations.